Matt Kinne, PT, MSPT, OCS, is a highly skilled clinician who spent nearly a decade at the helm of the acclaimed Foundry Sports Medicine and Fitness in Providence, RI. Matt’s expertise in orthopedics, sports medicine, post-surgical care and fitness makes him one of the more highly sought after clinicians in the Central Mass and Rhode Island regions. 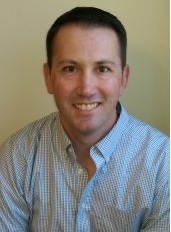 A graduate of Ithaca College with his MSPT in 1999 and went on to receive the difficult to obtain Orthopedic Clinical Specialist Certification through the American Physical Therapy Association in 2007. Matt currently lives in Central Massachusetts with his wife and children.